Following on the heels of her gripping and sensational thriller, Nightwatcher, New York Times bestselling author Wendy Corsi Staub takes suspense to a whole new level with Sleepwalker. 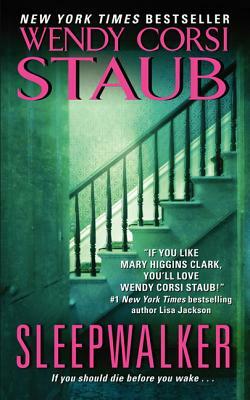 The second book in the remarkable series that began in the chaos and horror of the 9/11 terrorist attacks in New York City, Staub’s Sleepwalker picks up the story ten years later—when Allison MacKenna, who barely escaped death on that terrible day at the hands of a serial killer, realizes that the nightmare is not over…and it may be closer to home than she ever imagined. This is top-tier suspense fiction that fans of Lisa Gardner and Lisa Jackson won’t be able to put down.